Photo by Molly Johnson. 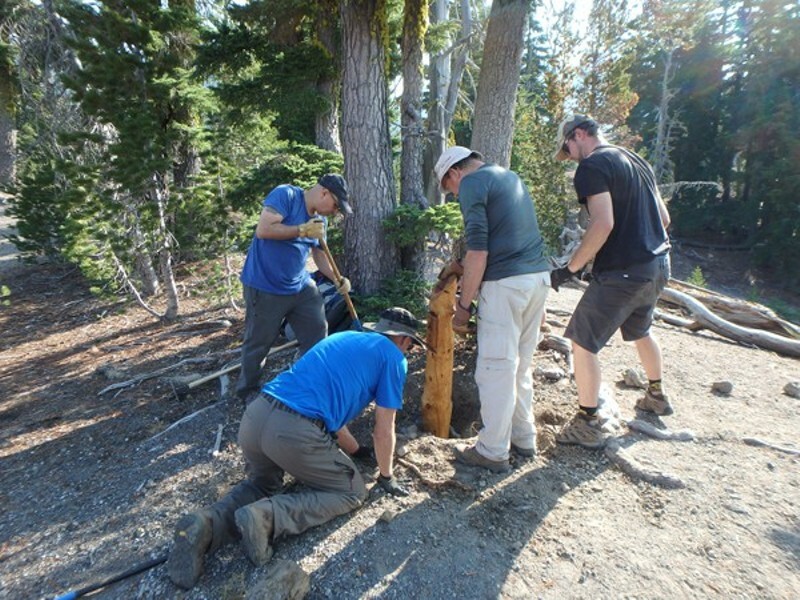 Friends of the Central Cascades replacing trail junction signs. Every week, Molly Johnson posts at least one hiking trip to the Bend Adventure Group's online Meetup page. The trips are typically recreational, but she also leads work parties into the wilderness to install trail signs, clean backcountry camp sites, and, unfortunately, pick up human and dog waste along the trails. 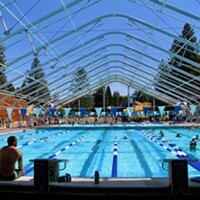 Johnson moved to Bend in 2001 from her native Iowa after earning a masters degree in physical therapy. She came to Central Oregon for the reason most do—a love of the wilderness. "When I got out of school, therapy jobs were plentiful so I could go anywhere I wanted," she said. 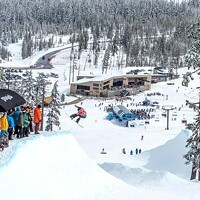 "I was definitely looking for a drier, milder climate and longer ski season." With an expressed love for mountains, Johnson took out a map and circled places of interest, with Bend being one of them. "I wanted a small town compared to where I was living," she said. "So I came out to visit for a week, got a job, and moved immediately." 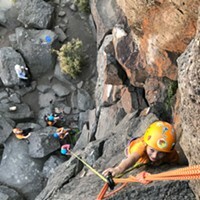 With the growing popularity of the Cascades wilderness area, Johnson quickly discovered that the accessible backcountry that brought her to Bend was beginning to show signs of overuse. 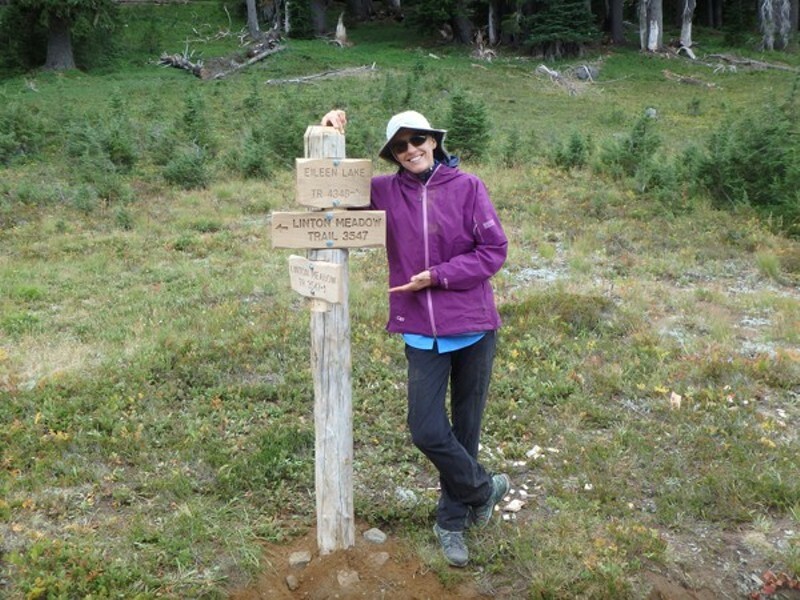 Hiking the always popular Green Lakes-Soda Creek trail system began to frustrate her as she noticed increasing instances of trash left along the trail as well as users creating their own paths. "I was beginning to feel that the beautiful place I had moved to was being lost," she lamented. A chance meeting with wilderness rangers spurred Johnson into action, resulting in the creation of the Friends of the Central Cascades Wilderness in 2014. According to Jason Fisher, lead wilderness ranger for the Deschutes National Forest, a friends-based nonprofit organization such as what Johnson started is becoming necessary to preserve the health of the forests. 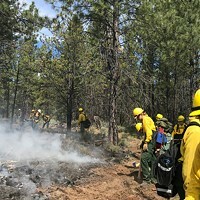 "Friends groups are essential as they can help take on some of the large workloads that forests have when we do not have adequate staffing," he said. "FCCW is new, but is growing fast, and we are excited to be working with this new partner." According to Fisher, these groups help build and maintain local community support for wilderness while fostering wilderness ethics and stewardship. These groups also promote natural resource and wilderness education and provide boots on the ground for volunteer stewardship projects. It was Johnson and two friends that attended the organization's first meeting, lining up summer season projects that included Three Creeks cross country ski trails signing, Obsidian Trail monitoring, fire ecology hikes, Golden Lake and Lake Matthieu rehabilitation and trail signing, and wilderness solitude monitoring. Johnson and Fisher both noted that ease of access to the wilderness in Central Oregon is a good and bad feature. As communities build closer to the wilderness boundary it becomes a challenge to balance that access with maintaining the wilderness experience. "We need to maintain that experience for all," said Johnson. "The wilderness needs to be managed with vegetation, wildlife, and clean water and air." A study by Oregon State University seems to underscore Johnson's concerns. In 1993, there were six to eight visitors per hour on the Green Lakes Trail, while in 2014, the same trail saw 29 to 41 people, a 500 percent increase. "That trail has evolved from a small path to a wide path," explained Johnson. "The increased activity displaces wildlife and kills vegetation." "These impacts increase erosion and sedimentation of lakes and streams, which has a negative impact on water quality and fisheries," he said. "Additionally, wilderness values and character are threatened, specifically the idea of finding solitude in wilderness which can be difficult in popular sites." Johnson's hope is not to discourage visitors to the wilderness, just to make them more conscious of their impact and willing to minimize it. "The rangers are outnumbered and they cannot pick up the trash fast enough," she said. "It comes back to everyone in the Central Oregon community needing to be a steward of the land." To accomplish her goals, Johnson needs volunteers, not all of who need to hike and work on trails. "We need people to help out with administrator duties and trail hosting," said Johnson. 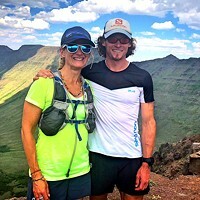 "People who are willing to hang out at a trail head for a few hours to greet users, answer questions and help them fill out wilderness permits." Now with 68 members, Johnson has planned more ambitious projects for this year at Green Lakes and Matthieu Lakes to restore designated campsites, offer educational hikes, and install additional signage at trail intersections. All with the idea of preserving what she finds so special about Central Oregon. "I like the opportunity to go out in nature and feel like I am away from the noise of the city and the business of my life in town," she noted. "Some people do yoga and others mediate. I prefer to go sit in the wilderness. That is my peace and happiness."